Boat Description The LSi 2485 is Crestliners most luxurious pontoon. It has an L-lounge with table, forward sofas with another table, and a premium helm station that includes a deluxe dash, entertainment center, cooler, sink and a sport bucket captains chair with slider. 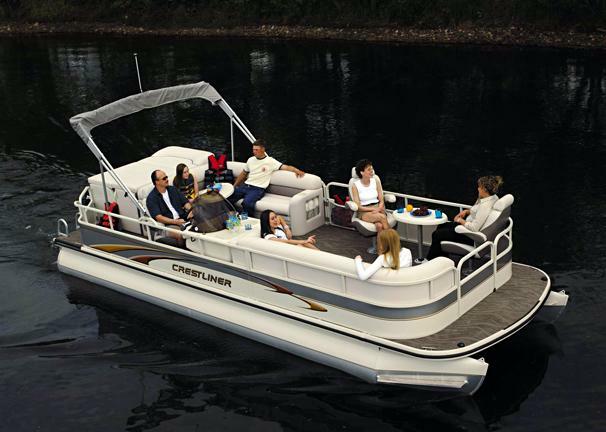 Other standard features include 27 tubes, bimini top, pop-up changing room, and padded sundeck. Engine Notes Two and four-stroke Mercury engines available. Max horsepower with Tri-Toon is 150 HP.